Whenever you start an online business, there will be a steep learning curve to climb before you make any headway. And, you will find that the same issues crop up with alarming regularity. With this in mind, I thought I would take the opportunity to reveal the most important things that you will encounter when starting out online. Make yourself aware of them – because they can make – or break – your business. First of all, be careful to invest in a robust, intuitive, and simple website. It is vital that your customer is aware of who you are and what you do the second they arrive on your site. And, it should be designed with them in mind – in a clear and logical way. Yes, a beautiful, clever site will draw admiring glances – but only from fellow web professionals and designers. The average customer won’t appreciate it, however – and it’s these people you need to cater for. Without visitors, your website may as well not exist. And, no matter what industry or niche you are in, it is always a struggle to get people to your online business presence. The Internet is an enormous place, and it can be hard to fight your way to the top of the tree – or the rankings, in this case. Your primary concern, then, is SEO. It’s something you can learn if you have a little time on your hand. But, if you want to move fast – which is advisable – then find an expert who can teach you and put a plan into action is imperative. SEO doesn’t automatically mean more sales. You can get plenty of visitors to your site and still make no sales at all. The answer lies with conversion rate optimisation. It’s a marketing tactic that dips into a lot of different areas. As Neuro web marketing point out, these can include psychology, behaviour analysis, and neuroscience. If you aren’t converting your visitors, quite simple, there’s little point in being online at all. Once you have all the website basics out of the way, it’s time to flesh out your site. This can take a considerable amount of work, as you are trying to get over your professionalism and industry authority. People like to do business with companies that know what they are talking about. So, you have to get your credentials out there. A blog is the easiest way to start – you can look into things like help guides and industry news and comments. Make your knowledge work for you and you will find your visitors put a lot more faith in your business. Just because you’re an online business doesn’t mean you can take it easy with customer service. In fact, it can be even more important. There is no room for subtlety in the online world, and you don’t have the benefit of face-to-face contact with your clients and customers. You have to make every word count when it comes to dealing with complaints and making your case. You should concentrate on offering exceptional service with everything you do. That goes for everything from your social media presence to delivery schedules. Do so, and your online business and profits should boom. Dermatologists, psychologists and acne sufferers, including an increasing number of adult Millennials, have a very different view. Both scientific evidence and personal experience, demonstrate acne and its scarring can have a profound and lasting impact on an individual. Because of the serious impact acne and its scars can have (more on that below), it’s important to understand some basics and gather a few resources for future use. According to the American Academy of Dermatology (AAD), acne is, a “chronic inflammatory skin condition, is characterized by blackheads, whiteheads, pimples and deeper lumps (cysts or nodules) that occur on the face, neck, chest, back, shoulders and upper arms.” It can develop at any age. As for prevention, both the AAD and the Mayo Clinic provide great acne prevention recommendations. Those include guidelines such as cleansing daily; using noncomedogenic, non-acnegenic and oil-free cosmetics; and applying over-the-counter (OTC) acne cream or gel to help dry excess oil. Effective OTC treatments do exist, especially for minor to moderate acne, (not typically for deep cysts and nodules). But does Proactive really work? Studies and reviews show that high cost equals high quality. So when OTCs fail to work or acne and its scars are interfering with your life, it’s time for professional advice. Acne is a medical condition, so consult with a dermatologist. Early intervention is the best way to stop acne and prevent scarring. Scarring occurs when acne lesions damage the structure of the second layer of your skin, the dermis. If you avoid poking and prodding pimples, that will help to prevent scarring and infection of acne lesions. Just as there are many types of acne, there are many types of scars. Scars are often permanent with discoloration impacted by sun exposure and appearance heightened by aging skin. According to a dermatological research paper in the National Center for Biotechnology Information library, doctors often treat scars based on their classifications. This resource is informative, even if a bit technical, and available to the public. Facial appearance represents an important part of a person’s perception of his or her self-image and can seriously impact self-esteem. Unlike the back, the face is typically uncovered, and is the locus of most human interactions. In the era of selfies and FaceTime, this is true perhaps now even more than ever. In addition to psychosocial impact acne and its scars have on sufferers, the financial costs associated with treatment are high, exceeding $3 billion annually. The good news? A growing number of highly effective treatments for all types of scarring appear or are perfected every year. Thus, dermatologists can deploy these to help alter not only a patient’s appearance, but also to positively shape the way a person feels about him or herself and the lives they lead. Treatments to reduce the appearance of scars, such as products including topical retinoids and silicon gels, have proven efficacious. Depending on the type of scarring, dermatologic surgeons also have other techniques at their disposal. Some popular and effective options recommended by the American Academy of Dermatological Surgeons include: chemical peels, dermabrasion, derm fillers, laser/light therapy, laser resurfacing, microdermabrasion, and non-ablative laser rejuvenation. Even after a person’s physical scars are gone, psychological ones can remain. It’s the psychological scars that Grossbart and other psychologists and counselors treat in their clinical practices. Scores of acne sufferers are helped every year by the combined efforts of psychologists and dermatologists. So reach out, if you’re in need. You’ll find the assistance you’re looking for. In 2016, there aren’t many businesses that don’t harness the power of a website. It’s easily accessible, packed with useful information, and it isn’t costly to implement. However, you only need to do a quick browse of Google to find plenty of business websites that aren’t up to scratch. Whether they’re outdated or packed with horrible design features, it all creates a bad impression. In order for your business website to stand out, here are a few things to improve on. Some say that the hardest part of having their own website is creating it in the first place. Those people aren’t going about the task properly! In truth, finding ways to keep it updated and engaging for viewers is usually much harder. You’ve got to find ways to constantly update your website and attract people to it. Whether that’s via a blog, important announcements or anything else, figure out a plan of action. This is an area in which many businesses are big offenders! Web design isn’t easy, and a lot of companies don’t seek the help of a web design company for the task. Sometimes, the result is a messy, disjointed website that assaults the senses. If you’re uncertain whether this is the case, ask some unbiased participants to analyse it for you. Search Engine Optimisation is just as important as actually creating the website itself. Without good SEO implementation, your website won’t be getting the views you had anticipated. By pushing it higher up the rankings of various search engines, you’ll benefit from a vastly improved number of readers. This is particularly important for websites that offer services and products that can be purchased online. If your website isn’t easily accessible, potential customers will only browse for so long. Eventually, they’ll give up in frustration. Designing your website so that anyone can find exactly what they want with ease is crucial if you want to find success. Nowadays, we live in a constantly connected world where social media reigns supreme. For that reason, giving people a way of sharing content via Facebook, Twitter and Email is important. It doesn’t take much to add sharing buttons to your website’s content, and it might just drum up a lot of extra attention for your business. Depending on the type of website you’re designing, you might want to think about user interaction. It isn’t fun to sit through wall after wall of text, and viewers will soon get bored. If you can give them some kind of interaction from videos to mini-games, they’re much more likely to remain invested. Above all else, you need to think about whether your website conveys your intended message effectively. If it has been bogged down by an excess amount of distractions and text, you need to get back to basics. Sometimes, the simplest designs are the best ones. Just because something looks good, it doesn’t necessarily mean it’s doing its intended job. Increasing your revenue doesn’t have to be really difficult or take years. There are a few simple ways you can increase your revenue without doing that much at all. Want to know what they are? Read on to find out! If you have space that you don’t really use in your business establishment or equipment you can spare, why not rent it out to other companies? This stops space and equipment from going to waste and you bring in more money at the same time. It only makes sense if you’re not doing anything with it! Is there a new service you can offer to go with the services you’re already offering? Brainstorm with your employees or get feedback from your customers. This could be one of the quickest ways to increase your revenue if there’s a service you’ve always wanted to offer but haven’t. It makes sense not to offer too much to start with, but once you’ve built up a client base and you know what the people want, it could be a great way to bring in more money! Make sure your staff know how to upsell where appropriate. You don’t want them to be so pushy that people are instantly put off buying from them, but you do want to make sure they are in the know about complementary products and services. It should be compulsory for your staff to mention other deals and offers you have on. If you’re getting lots of business, it could be a good idea to raise your prices. Some people price themselves so low that they actually don’t get as much custom as they should be getting. Alternatively, you could lower your prices if you feel you’ve been too high. Make sure you do your research on other companies in your industry so you can make an informed decision. Most companies get professional help when it comes to assessing their business and growing. You shouldn’t feel bad for not doing it yourself. It’s what everybody does! If you’re looking to win more contracts, companies like Executive Compass could be perfect for you. Shipping and handling can sometimes make or break your business. You have the option of adding shipping and handling costs, which means you won’t get as much client backlash if you raise the price of your products. You can also eliminate the costs altogether if you feel it would help orders move along. Look at what makes the most sense for you. Getting old customers back on board is so much more effective than looking for new ones. Find a way to communicate with your old customers and get them to come back to you. If they worked with you once, they could again. Hopefully these tips and ideas have given you some food for thought. Come back for more soon! It’s hard to feel too optimistic about anything right now, in these uncertain times. And, it’s especially down heartening when you are as small business owner relying on a steady income stream to keep you going. And, during times like these, we need to make sure we have robust systems and procedures in place to give ourselves the strength to pull through. In today’s guide, I’m going to go through some of the biggest risks facing your business today. Let’s take a closer look. Let’s start with the one thing that everyone in the UK always talks about: the weather. It hasn’t been the best of starts to the summer, and it is causing a lot of uncertainty amongst several industries. Retailers, online or in the physical realm, all report lower sales during bad weather and rain. It’s also an issue for the tourism sector, who rely a lot on those last-minute bookings. Given the choice right now, I would prefer a weekend away on a hot beach somewhere nice rather than a two-week holiday in the UK. If there’s one thing responsible for everyone’s insecurity right now, it’s the political climate. And, it’s fair to lie the blame directly on the doorstep of Brexit. Small businesses will be worrying about international sales, and their ability to grow. Will people still be spending as much as they would have with a remain vote? It’s not business as usual, unfortunately. According to reports, Brexit is also having an impact on hiring employees, too. Clearly, there is a long way to go before we make the split official. I just hope it’s not going to be a messy divorce. You can’t turn on the news without hearing about hackers and online thieves breaking into yet another system. It’s one of the biggest concerns that all businesses share. It’s not just the giant corporations feeling the effects, either. Small businesses are often soft targets for hackers because they don’t have the right level of security. Whatever line of business you are in, make sure you have robust protection to keep yourself safe. I’m finding it increasingly hard to stay on track these days, thanks in large part to an enormous volume of emails, calls, and messages I have to deal with. Does that sound familiar? Productivity can take a nosedive when you have so much going on, and it can sometimes be hard to see the wood for the trees. There are a few apps out there that can help, however. I’ve been looking around for something that will let me work in peace, and stop all those notifications happening every ten seconds. Let me know if you have any ideas – we’re all in this together, I’m sure! OK, so these are the problems I think should be high on everyone’s list. I am keen to hear from you guys, too. What are you worrying about when it comes to running a small business? Have I missed anything off the list? Let me know in the comments section below! If you want to become an entrepreneur, you’re going to need to do your homework first. Understand what is involved and work towards that. There is so much competition that you need to work out how you’re going to make your brand stand out. These are some of the best things you can do if you want to make entrepreneur your middle name. It’s not easy being a new entrepreneur in this day and age. In fact, it’s almost as stressful as taking the job of England manager! You’re going to face a lot of problems and difficulties on your way to success. But, you have to make sure you don’t lose confidence and become demoralised from the process. Failure is okay because it’s part of what leads to success. So, you need to make sure you are determined and driven as much as possible. These are important traits of all successful entrepreneurs. 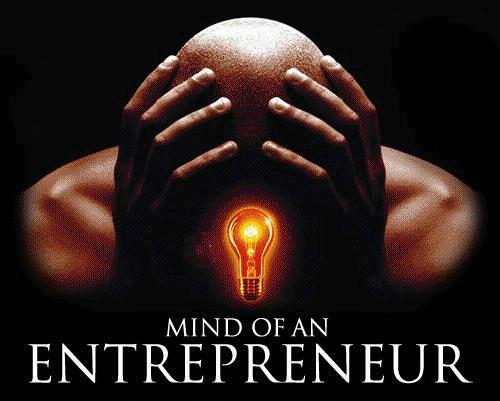 This is crucial to help you develop a strong mind-set and get into the role of business owner. It’s important to do what you can for your business as much as possible. This means you have to do what’s right by the company. Do whatever you can to try to elevate the business to a level you are happy with. This means you have to look at the best ways of marketing and promoting your company brand. Things like email marketing, search engine optimisation, and social media all play a massive role in this. You might also want to consider some philanthropy to make sure your business receives positive attention. When you start out as a budding entrepreneur, there are going to be a lot of opportunities. Many of these you will encounter, and some you can develop yourself. It’s important to always take the opportunities you encounter. These are essential for giving you more experience and helping the business grow. One opportunity can lead on to another, and you may find a lot of doors opening for you. It’s very important to take whatever opportunities you can and try to increase your experiences. 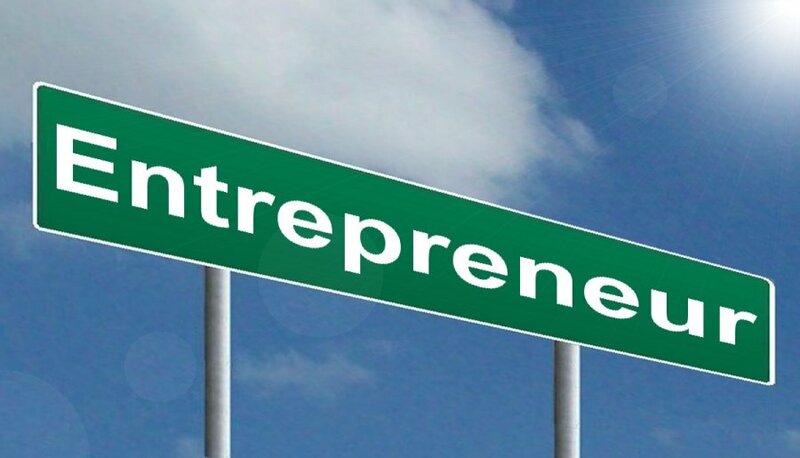 Becoming an entrepreneur is something that has proven very popular in recent years. And, you need to make sure you understand what’s involved in being an entrepreneur. If you can ace this, you will be in a good position to develop success. Take a look at the ideas and suggestions on here, and use them to your advantage. Mix & Match: The Easiest Vegetarian Diet Ever! The digital space has exploded in recent years. From being a niche market, it has established itself as the main way we interact with customers. Old forms of business aren’t dead yet, but their days are numbered. Entrepreneurs now accept that if they’re going to meet their customer’s needs, they’re going to have to embrace new platforms. But incorporating these platforms into a business plan is easier said than done. There’s a big difference between having an idea and actually carrying it out in the digital space. For many firms, it’s the technical difficulties of implementing new systems that are holding them back. But ignoring digital business altogether just isn’t an option. Here’s why. The average amount of time that people spend on the internet increases year after year. A couple of factors have driven this trend. Access has been made a lot easier with the rise of the mobile web. And internet connections have gotten a lot faster, improving the user experience. The bottom line? Customers have an endless thirst for information. As an entrepreneur, you want to leverage this opportunity. That means that you have to work to integrate your back-end with your website and make the user experience seamless. Once you’ve got a site that works well and feeds through to your CRM systems, you’ll create a far better user experience. One of the limitations of most small business websites is that they don’t include useful online tools. Take online booking, for instance. Online booking is essential if you want to spend more time making money and less time on admin. But it’s also something that is notoriously difficult to implement well. Setting up online booking systems, learning apps and so on is rarely straightforward. You’ll probably need the help of a web developer. But once it’s done, the system is automated, and you’re freed up to do the things you are best at doing. Finally, digital business has global appeal. Unlike at any other time in history, startup firms can attract a global audience, usually in a matter of months. What’s more, far more businesses have models that are responsive to global audiences. Perhaps you’re an entrepreneur who wants to set up some sort of deep learning business. Well, you’re the perfect candidate for a company that should be embracing the digital space. That’s because your business is based not on geography, but on intellectual capital. Digital business allows you to connect to customers in distant parts of the world. You’ll be able to launch marketing efforts to any company or consumer with access to the internet. And that means you can grow your business faster. You’ll also find it a lot easier to source the talent you need. For entrepreneurs setting up niche businesses, having a global talent pool to draw from is a boon. Connecting with people over the internet is the best way to attract new people to your cause. Weddings are a fascinating social phenomenon. And like the people involved in them, they’re diverse. Here are some surprising, funny and downright ridiculous facts about weddings. 1. If you know anything about weddings, you’ll know that it’s traditional to throw rice at the newly married couple. But, what if you grew up in Czechoslovakia. Here they don’t throw rice at the newlyweds; they throw peas. 2. In Greece, soon-to-be-wedded wives stow cubes of sugar under their dresses. This is so that they can “sweeten” the resulting marriage. 3. Have you ever wondered if there’s a way of finding out whether you should marry somebody without getting to know them first? Well, the Romans thought there was. Romans studied pig entrails to work out whether a couple was suited. 4. The most expensive wedding ever cost a grand total of $44 million or about £35 million. The wedding was between Sheik Rashid Bin Saeed Al Maktoum and Princess Salama in Dubai. 5. Some wives have found their future husbands wearing their wedding dresses, locked in an embrace with their best man. 6. The average spend on wedding invitations, like pocketfold wedding invites, is more than £400. 7. You might think that weddings today are superstitious affairs. But back in ancient times, things were a lot worse. Both the Greeks and the Romans believed that the bridal veil protected brides against evil spirits. And that tradition continued down the generations. We have that tradition today because Romans brought their weddings with them when they conquered England. 8. Ever since Queen Victoria married Albert, it’s been the fashion for brides to wear white in the West. But Westerners weren’t the first to decide that wearing white was best. No – that title goes to the Japanese, who have been wearing white at weddings for centuries. 9. The James Bond films first popularised the idea that diamonds are forever. And even before, then diamonds have been seen as a symbol of marital permanence. But diamonds are not the only precious stone linked to marriage. According to experts, aquamarine is also associated with marriage. It’s meant to symbolise harmony and ensure that the marriage is long and prosperous. 10. China is the most populous country on the planet, even with the one-child policy. But do you have any idea of how many marriages happen there every day? The number is a staggering 26,000. That means that every month over 800,000 couples tie the knot. 11. Wedding dresses have always been a big part of every wedding, figuratively speaking. But one German bride made her dress a big part of the wedding in the literal sense too. The dress was 515 feet long. That sparked a trend that caught on globally. Just last year a new record was set in the Chinese province of Xiamen, Fujian. The dress measured over 8600 feet long – or more than a mile. 12. Have you ever wondered where the stag do originated? I’m sure you’ll be surprised to find out that its origins are actually to be found in the ancient world. It’s believed that Spartan soldiers first instituted the tradition in ancient Greece. The idea was to have a wild party to say goodbye to single life. Little has changed. 13. Today it’s easy for other people to work out whether the couple-to-be are siblings. But in the past, it wasn’t: and it was a big problem. The reading of the banns was a tradition designed to solve this. It was a Catholic invention, and the idea was to make sure that the bride and groom weren’t somehow related. 14. The month of June has always been a favorite month for weddings. But have you ever wondered why? Well, it’s because Juno was the Roman goddess of childbirth and marriage. Getting married in June is supposed to be good luck. 15. You may have heard about people marrying their cars and their boats. But where did the tradition of marrying inanimate objects come from? One of the first instances of this sort of thing occurred back in 1976. A secretary from Los Angeles decided that she had had enough of looking for a man to marry. So instead she decided to marry a four-stone rock. The two were wedded in front of about two-dozen witnesses. 16. We’ve all heard about best men who are best men at multiple weddings. But have you ever wondered what the most times any individual man has been a best man? It’s 1,000 times, and it’s a record held by a rather popular Malaysian. 17. According to English folklore, Saturday is the most unlucky day to get hitched. Every credible business understands the importance of strong productivity in the office. Improving productivity can often be very difficult though. There are so many different factors that can have an impact on productivity levels, and they all have to be factored into the equation. There are some key things that you should do, as well as some things that you shouldn’t, when trying to improve productivity. The advice outlined below should be applied to everyone who works in your office. Preparing for the next day is a good way to save some time in the office. This can be done the evening before, or even during the commute to work if possible. For the higher ranking people in the business, this can make a really big difference. Having a plan in place that you can start following immediately when you reach your desk can be a big help. You can then hit the ground running and make sure that no time is wasted in the office. The managers who have the largest workload should definitely think about doing this. For ordinary office employees, it might not be necessary, but it could still help if they’re productivity levels are low. Every little thing you do in the office during the working day takes up time. And if you want to improve productivity levels in the office, you need to make sure these actions are worthwhile. If they are not serving any real purpose that advances the business, then they could be wasteful. Getting into the habit of questioning the value of each and every action can have a big impact. Everyone is guilty of doing things that are not very productive during the day. If those kinds of habits can be reduced as much as possible, then productivity levels should start to rise steadily. That’s what really matters, so encourage this kind of activity. Sometimes, the reason for bad productivity levels is down to the fact that employees are not being given the right support. Companies like Health Assured offer employee assistance programmes that might help with this. Allowing your employees access to different kinds of support can give productivity a boost. This support can relate to anything from their general well-being to health support. People will feel more secure and supported in their jobs, and that can only be a good thing for everyone. It will become much easier for problems to be solved quickly, so less time will be wasted on trying to battle difficulties. It’s something that many business owners are now considering, so maybe you should too. Battling distractions can be one of the most challenging aspects of running a modern office. When your entire workforce is hooked up to the internet all day along, the distractions are limitless. They could be tempted to check social media or simply browse the internet. And when people do things like that, the minutes can fly by. Before they know it, an hour has gone by, and very little work has been done. So, you should try to remove as many of these distractions as possible. But how can you actually do that? If the problem is particularly bad for your business, you could filter which websites can be accessed during working hours. Being inactive all day is not a good thing for employees or their productivity levels. When they are left chained to their desk all day, they often become easily bored. Standing up and moving around every so often helps blood flow to the brain. And it gives their eyes and brain a break from staring at a computer screen. So, this means that when they come back from their active break, they will be refreshed and ready to do their best work. So, encourage people to take breaks during the day and make sure that people are active during this time too. Some businesses have even introduced the option of standing desks. 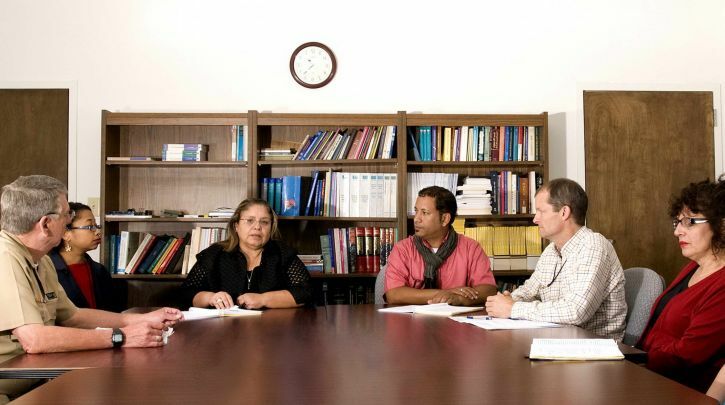 Meetings can be important. There are occasions in which they can distract from other important work though. If a meeting is doing nothing other than stopping people from doing work, then it might be a negative thing. So, instead of holding regular office meetings, decide whether to hold them on a case to case basis. That way, you will ensure that meetings are only being held when they are really necessary. On occasions when people don’t need to be in a meeting, they can get on with doing the work that is important. This should cause productivity levels to rise. There are many myths floating around in the business world. One of them relates to multitasking and the effect it can have on a general work environment. People often assume that by multitasking, they can get more work done in a limited amount of time. But this is rarely ever the case. In fact, many people find that they do much less work. When people multitask, they tend to do multiple tasks badly, rather than doing one thing at a time properly. It has an impact on the quality of the work being done, and sometimes it doesn’t even save any time. When you are reacting to other people and events that happen in the office, then you are put on the back foot. Ideally, you want your office to be a place that is proactive rather than reactive. This means that you are pushing forward with what you consider important. This is much better than getting bogged down by phone calls and emails that are coming from outside the business. Sometimes, this means making very hard decisions with regards to your time. You will have to say no to people who are asking for slices of your time. You can still get back to them later, but it’s never good to be hostage to other people’s demands.